I mentioned in previous posts that the first drama that got me hooked on the Asian fever was Meteor Garden. The series was shown in by one of the local networks here in the Philippines and it was dubbed in Filipino. A cousin of mine was so crazy aout this series that she recorded it on her computer. I posted the videos in youtube about3 years ago (yes, I’m the same chipskjaa user on youtube! ahahaha). I’m posting the videos again here 😀 . Enjoy! I mentioned in mye previous blog that my asian addiction started with Meteor Garden. It was shown here in the Philippines 5 years ago. Although it was dubbed into Filipino, I was addicted to it. My cousins and I even recorded it on the computer. We has a TV tuner on the computer and a file which can record from the tv tuner. 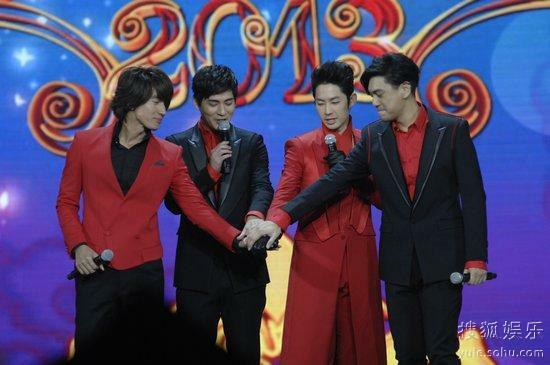 We recorded it straight from the tv… and we did it for both dramas, meteor garden 1 and 2. I loved the OST of meteor garden (yes, even broken vow). But my favorite would have to be the beginning song of the first Meteor Garden. Qing Fei De Yi (by Harlem Yu) would have to be my favorite song from the soundtrack.